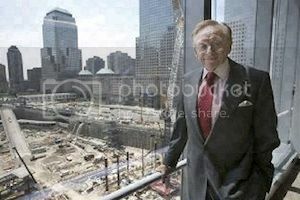 PETER’S NEW YORK, Wednesday, September 9, 2009--Barry Jennings was one of the heroes of 9-11, but an apparent news blackout regarding his death a year ago has raised fears among some investigators of a concerted attempt to hide Jennings's testimony about the events of that day. On September 11, 2001, the Twin Towers of the World Trade Center (WTC) collapsed into piles of steel, concrete rubble and dust an hour or so after being hit by two aircraft. Later on the same day, another high-rise office building collapsed into its own footprint in a mere six seconds, even though it had not suffered any direct impact from aircraft. In a number of reports meant to explain the three collapses, the federal government contended that damage to the WTC complex was due entirely to the impacts of the aircraft and resulting fires. It also claimed that the aircraft were piloted by Islamic terrorists from the Middle East. Well, I just got back from a trip to Beverly Hills to be interviewed for a National Geographic documentary that will be airing in 2009. The topics discussed by them were the usual; the WTC collapse, the Pentagon, Flight 93. After those were covered I brought up Sibel Edmonds, what happened to Barry Jennings, the wargames, and finally, the family members and the Bush Administration's stonewalling of the investigation in the first place.